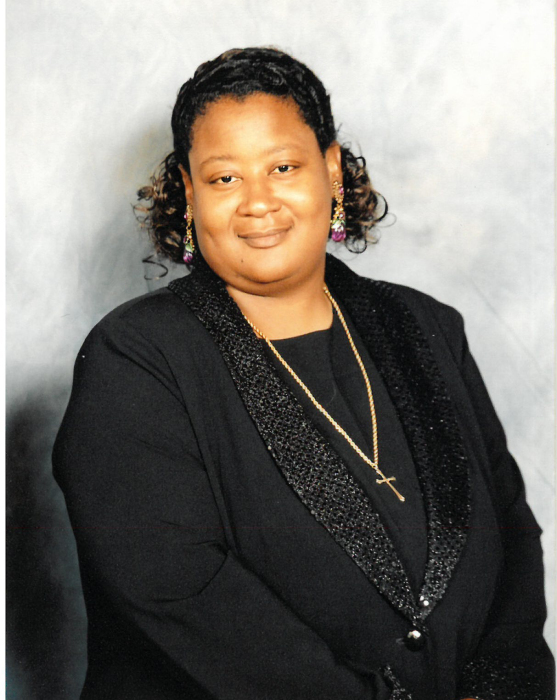 A Celebration of Life for Ms.Gloria Pointer 51 of Hillsboro, Alabama will be noon Tuesday, February 19, 2019 at David Temple "Word of Faith" Church in Hillsboro with Bishop Curtis Foster officiating and inhumation in Shackelford Family Cemetery. The body will lie in repose one hour prior to funeral. Visitation will be Monday from 5:30 pm-6:30 pm at Reynolds Funeral Home. Gloria Denise Pointer was born October 28, 1967 in Hillsboro Alabama to the late Clarence Lee Pointer, Sr. and Betty Shackelford Pointer. She departed this life on Monday, February 11, 2019 at her home in Hillsboro, Alabama. She confessed her hope in Christ at an early age and was a member of David Temple Word of Faith Church. She graduated from East Lawrence High School and was employed by Wayne Farms for many years. Two of her favorite hobbies that she enjoyed were cooking (especially cakes) and gardening. Gloria, lovingly known to many as ‘NeNe’ will be remembered for her infectious laughter. She was preceded in death by her parents: Betty Shackelford Pointer and Clarence Lee Pointer, Sr.; and brother, Aundra Shackelford.